If you have protested your appraised value, you have the option of scheduling and/or rescheduling your protest hearing date via WCAD’s Public Access portal. If you have previously created an account and protested your value online, simply log in and look for the Schedule Protest Hearing link under the Actions area of your property’s protest. 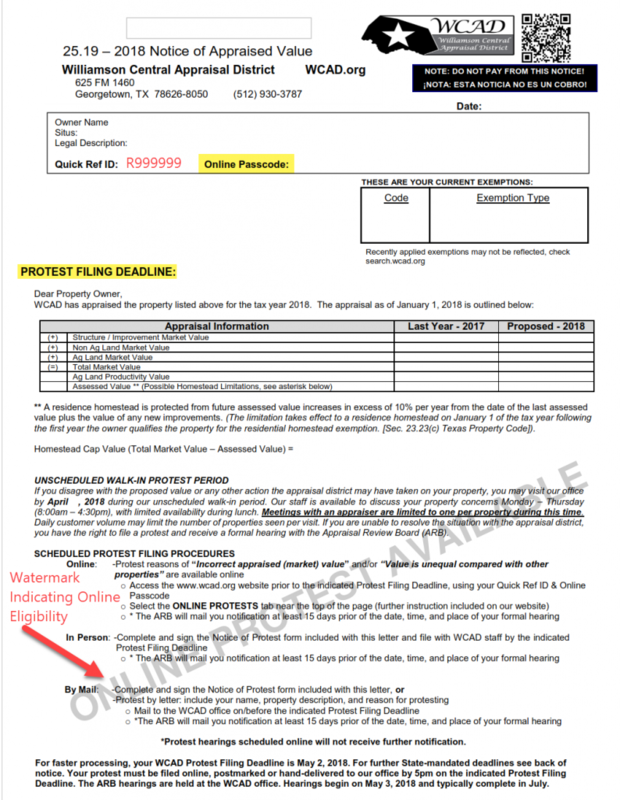 If you have already scheduled your protest hearing, or received a letter notifying you of the date and time of a hearing, you are entitled to one reschedule without showing cause. A reschedule request must be submitted before the date of a hearing and the property owner may not have a designated agent under Tax Code Section 1.111. To reschedule a hearing, go into the Current Protest Hearing Details of your property and click the Reschedule Protest Hearing link under your current hearing time. In both cases, schedule and reschedule, you will be presented with an intuitive, calendar interface that will allow you to select your desired hearing date. 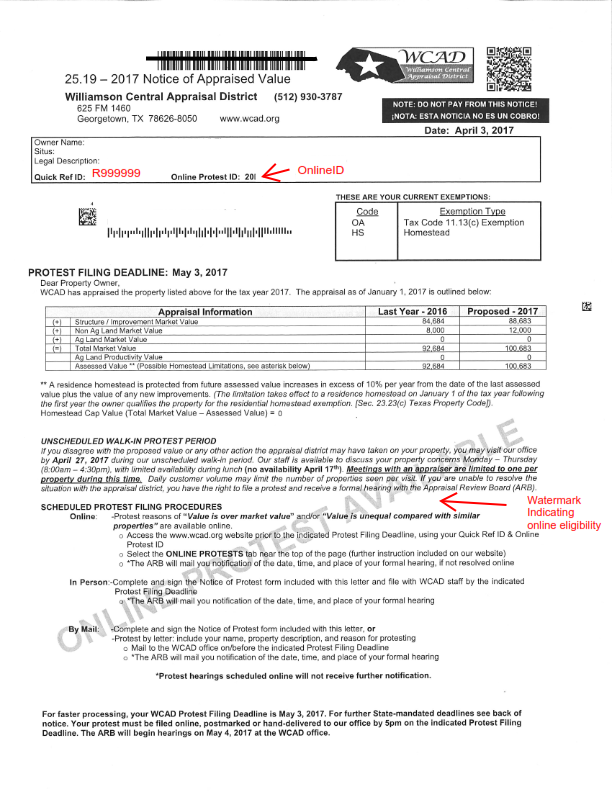 If you did not file your protest online, or have not already created an online account with us, then you may still be able to reschedule your hearing by creating an account using the Online Protest ID that was included in your Notice of Appraised Value and on the Notice of Hearing letter you received. Does your appraisal notice from WCAD look like the example below? Does it contain an OnlineID and watermark indicating online eligibilty? If so, click here to go to our Public Access site to protest your property value, or schedule or reschedule your protest hearing date.